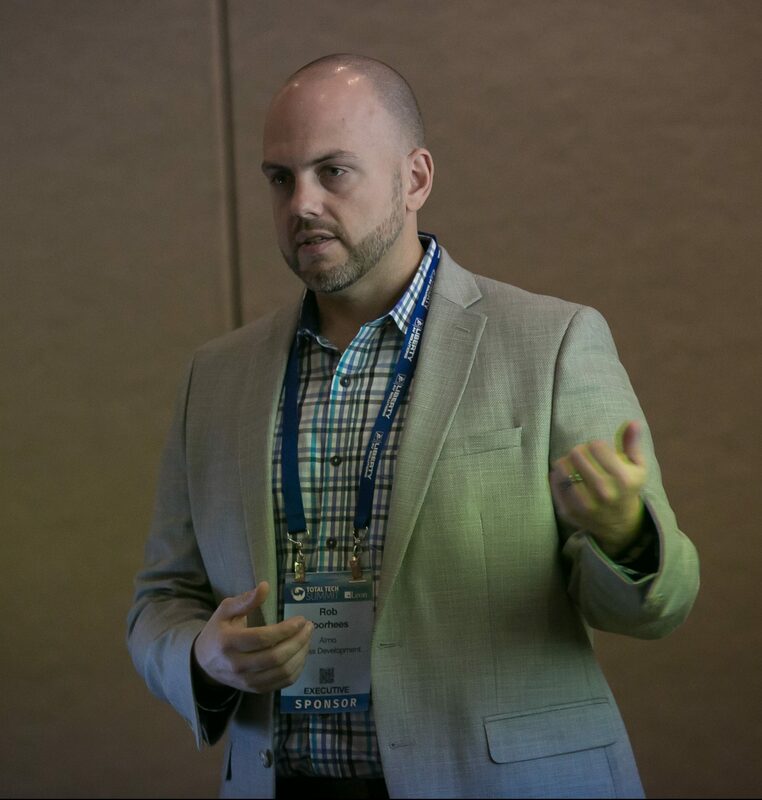 The distributor highlighted its recurring revenue services at the 2017 Total Tech Summit and discovered many integrators were more than ready to begin offering them. 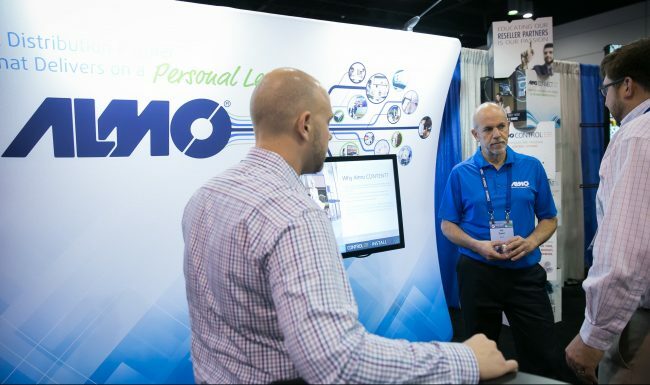 At the 2017 Total Tech Summit, recurring revenue was a topic of conversation for many integrator guests, whether they simply were intrigued by the idea, ready to start implementing such services or already utilizing these revenue streams, Almo Pro A/V was there to show them how valuable they can be. Almo offers a wide range of products and services applicable to integrators across many verticals. Through boardroom presentations and one-on-one meetings, company representatives set out to demonstrate to them the services concept and how adding them can improve margins on a job and is a great source of recurring revenue. 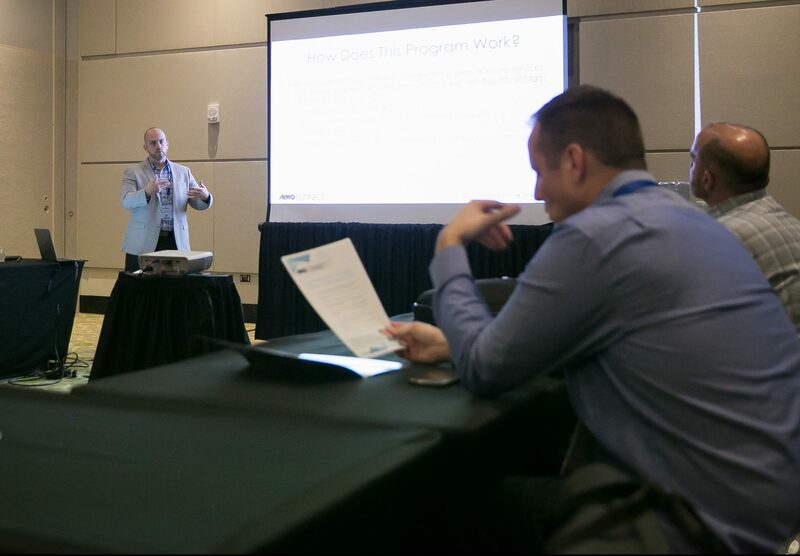 Rob Voorhees gives a presentation during a boardroom meeting at the 2017 Total Tech Summit. “As soon as we started talking about recurring revenue and how the thought process works around it, a dealer of ours looked at us and said, ‘That’s great. Because I don’t like starting every month out at 0.’ And, that really stuck with me,” adds Almo Pro A/V business development manager Rob Voorhees. As Voorhees explains, any distributor can sell a cable and collect the profits. But, Almo tries to focus on the added value, such as content creation and support for Internet, TV and voice through its CONNECT services. He says he wants his dealers to do more than just sell a projector to somebody to fill a job. He wants them to sell a complete solution, so they don’t have to look elsewhere. Utilizing recurring revenue services will allow these companies to keep money coming in for as long as the customer keeps those services, which could be years. Many of the guests at the Total Tech Summit were wowed by the prospect. Voorhees says he gained five new dealer partners from Almo’s connected services program just from meetings at the event, including one that led to a nice voice and internet deal with the American Dairy Association.